I really loved working with YOTH Daughter – it’s got such a sheepy, wooly feel to it, but it knits up beautifully, as well – it feels soft, warm, and light, all at the same time! The color is so natural that it really goes with everything. 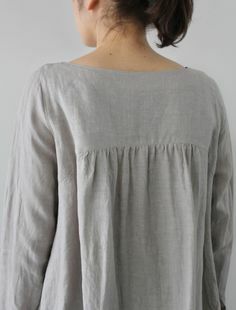 My only thought is maybe I should have made the sleeves a little wider – they are a perfect fit when I’m wearing a t-shirt, but a little tight if I want to wear a long-sleeve button-down shirt underneath. Other than that, I wouldn’t change a thing about it! I couldn’t resist the opportunity to try Twig & Horn’s amazing new yarn, Stone Wool . . . and one of the beautiful designs created by Whitney Hayward. I really love everything about this yarn – it is 100% cormo, single-sourced and it is American-sourced from beginning to end. The wool comes from two farms in Montana and Wyoming, and it is scoured and milled nearby, then shipped only once to Maine, where it is dyed at Saco River Dyehouse and shipped from their warehouse. American-produced, small carbon footprint, great soft and squishy cormo feel, beautiful colors . . . what more could you want from a yarn? Size: 37 1/2″ – I was a little worried that this would give me no positive ease, but I’m guessing that my gauge is still a little bigger than it should be, because the fit came out perfectly, giving me at least 1-2″ of ease. One thing I love about this pattern is that it gives you options – I chose to use Cable Chart A and Center Pattern B. In hindsight, I’m not happy with my center pattern because I think it detracts from the cables – if I knit this again, I will either use no center pattern, or something very subtle. I’m working on a sweater design that utilizes all three shades of a color family: for instance, Tobacco comes in Shades 01, 02, and 03, and they look spectacular when they’re all together! I want to be able to showcase all three shades in a way other than the small sampling you get from fair isle, but I’m trying to avoid straight-up stripes. I have an idea . . . we’ll see how it pans out. I couldn’t choose just one color of Camellia Fiber Company’s beautiful Alpaca Wool handspan (50% alpaca / 50% wool in extra bulky weight), so I bought both Frost and Rosemary Flower – 3 skeins of each (50 yds/skein). I used up every inch of them both knitting Vanilla Twist by Amy Miller on US 11s. Quick knit, interesting textured pattern, and a beautiful result! I’m not really sure what to call this piece – the pattern calls it a vest, but I don’t think that really describes it. 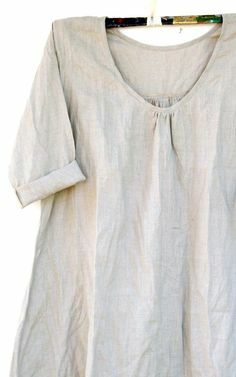 I use the word tunic, although that usually means something longer. It’s a hard piece to define, and I haven’t decided yet if I’m going to like wearing it, but the cabling pattern is exquisite, and the soft, squishy feel and stitch definition of Woolfolk’s Tov was a joy to knit with. Yarn: Woolfolk Tov in color 00 (8 skeins), plus a small amount of Woolfolk Tynd in color 00 (for knitting the armhole facings). Size: 43.5″ (the pattern says this is to fit a 36-38″ bust, which is right in my range – I’d say that the fit is accurate, I probably have at least 6″ of ease. If I were to knit it again, I’d knit the smaller size, even though it’s supposed to be an oversized fit, just so it wasn’t QUITE so loose fitting). These feel amazing! They took only one skein of yarn, with a lot left over. Winter’s coming . . . time to knit hats! My youngest daughter has decided that wearing hats is her newest fashion statement, and she particularly loves blues, which gave me an excuse to buy some gorgeous Plucky yarns and indulge in the immediate gratification of hat knitting . . . Although it’s a little more expensive to have yarn shipped internationally, I couldn’t resist trying this beautiful new yarn Scout from Wool Days in western Australia. I love the care that this yarn designer brings to everything – her website, her descriptions, even the writing on her labels, is all beautiful and intentional. 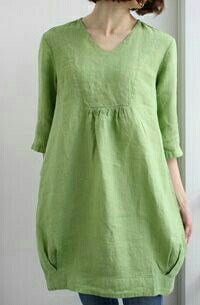 Even better, the yarn is certified biodynamic and is minimally processed, following organic standards. It is also incredibly soft! I knit the foot to 7 1/2″ before beginning the toe cap, which came to exactly 17 cables. I love the little detail of cables – like all of cabinfour’s patterns, the beauty is in the simplicity, the small touches, and the opportunity to really show off and appreciate the yarn being used. There is a color-change line on the front that’s a little distracting – and the funny thing is, that color change was within a single skein of yarn, not where I changed skeins! But, I don’t really mind, and I don’t think it’s that noticeable when I’m actually wearing the sweater. I love this yarn – sheepy, soft, squishy, with a soft halo from the alpaca. I love the undyed colors, too. And I love how it shows off the big chunky cables! The sweater is an oversize fit, which is what the pattern calls for, and the size I knit should have given me about 5 inches of positive ease. It’s a little bigger than I would have liked, so I tossed it in the dryer (VERY carefully) for just a few minutes, to tighten it up a little. 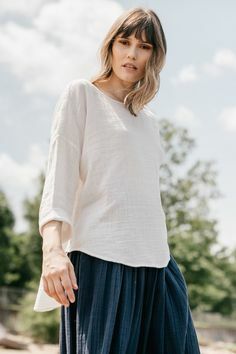 I wish that the next size down wasn’t such a big jump, or I would have gone one size smaller, but I think that between a little oversize and a little tight-fitting, I prefer the former for this design. Beautiful pattern – took longer than I thought it would, given the bulky yarn and the size of the needles. After it was done, I tossed it damp into the dryer for carefully supervised ten-minute time blocks – I find that it tightens up the yarn and the stitching a little and gives the cardigan more shape. Plus, it was too big – even though it’s supposed to be oversized – and I wanted a little shrinkage. I’m thinking it could go in the dryer one more time, but I wanted to wear it a few times first, to see how I liked the fit. This is a really great cabled pullover pattern, and a perfect match for Plucky Scholar – one of my favorite sweater – and cabling – yarns! Although this size allows for 5-6″ of positive ease for me, it doesn’t really feel that oversize – instead it’s just a relaxed, comfy fit. Also, I was worried that it would be too long in back – 18″ from hem to armhole – but the length looks great, and I really like the shorter length in the front and the vents on the sides. Continuing my love affair with cables right now . . . I used my leftovers from my Wickerwork sweater to knit this one – it came together quickly, and took less than one skein. The yarn feels soft yet substantial, and the fit is good on both men and women. This is truly one of the most gorgeous things I’ve ever knitted, thanks primarily to Camellia Fiber Company’s incredibly beautiful yarn. The natural indigo dye is stunning, and the yarn itself is so soft and squishy – I thought that the big cables were perfect to showcase both the color and the texture. The pattern is Lucky (me) cardigan, and I knit size L1 on US 7s (US 6s for ribbing), using 7 skeins of CFC merino worsted (215 yds/ea) naturally dyed with indigo and rhubarb. It was such a pleasure to test knit for Thea Coleman’s latest ingenious design, and exciting to finally get to share my FO! The pattern is called Ommegang, and this was the perfect match of pattern and yarn. This was my first time knitting with Bare Naked Wool’s Stone Soup DK and it has to be one of my favorite yarns of all time. It feels woolen spun, very airy and wooly, but it feels soft, not at all scratchy. It feels like you’re knitting straight from the sheep, but a very soft and cushy sheep! I used color Marble, although there are many other beautiful natural colors to choose from. I knit one size larger than usual – 42″ – because I wanted a looser fit. 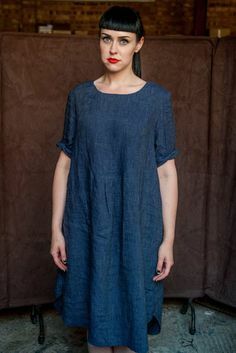 I chose not to knit the tunic length – I’m too short to carry that off – so I knit 18.5-19″ from hem to underarm, and spaced out the increases and decreases along the adjusted length. I knit the sleeves in the round on US 6s, and the ribbing on the hem the same, but then found I had to switch to US 7s to get gauge on the body of the sweater. That was the only modification I made, other than to knit the turtleneck a little shorter than 6″ – more like 4″ – because a lot of times it’s not cold enough here to need a lot around the neck, and I wanted more of a three-season sweater. Great test knit for Thea Coleman – the pattern is called Hot Toddy and I knit it in two evenings with less than one skein of Plucky Scholar in the Kelly Kelly Kelly color way. I was pretty much on gauge with US 7s (US 6s for ribbed brim) and used 16″ circulars (and then dpns for the decreases). I went with the 20″ size (c/o 110 sts) but I think that either of the smaller sizes would have been fine too, with a little more of a snug fit. I skipped the pom pom, because I’m just not a pom pom hat kind of a gal, but it would look really cute on this one, particularly in this vibrant shade of green. I love how the cables in this hat show off the tweedy texture of Scholar – it would be wonderful to knit these in a whole range of Plucky colors for everyone on my Christmas list! Wow, that’s a lot of descriptors to fit into one title . . . but they all apply to Bellows, one of the gorgeous Brooklyn Tweed patterns from BT Fall 14. I love Brooklyn Tweed yarns, but I wanted to experiment with a new, very similar yarn I discovered recently — Swan’s Island All American Collection (75% Rambouillet Wool / 25% alpaca). Like Brooklyn Tweed, this 100% wool (also all-American produced) has a light, lofty feel to it and a tweedy appearance. You would definitely want to use a lofty worsted weight yarn, because you knit it doubled, so any heavier yarn would make a VERY heavy sweater! I used 10 skeins of All American in color Frost, and got gauge with the recommended US 11 needles (US 10s for ribbing). I really debated the sizing – I wanted an oversized fit, as the sweater is modeled in the pattern, but I thought that 9″ of positive ease would make me look like I was swimming in it! There’s a big size jump from 43 1/4″ to 48″, and so I was stuck – go with the 43″ size and have only about 4″ ease, or jump all the way up to 48″, which would give me 9″ of ease? In the end, I just couldn’t risk going so big, and I figured I could block it pretty aggressively if I wanted a larger fit, so I went with 43 1/4″. Whew . . . it was the right call. It doesn’t fit exactly oversized on me, but to tell you the truth, an oversize fit on someone with a frame like mine just isn’t as adorable as it is on the twiggy models that Brooklyn Tweed always uses 🙂 So, I get the snuggly, oversize feel, without looking too bulky. And I definitely wouldn’t want to look any bulkier – worsted weight yarn held double results in a lot of heft! The styling of the cardigan – especially its relatively short length – helps balance out the bulk, however. And, the most amazing thing: I knit this entire sweater in seven days! There was just enough detailing, stitch patterns, cabling, etc to keep it interesting, without making it so complex as to keep me up at nights (which is sometimes the case with BT patterns). I love the fit and styling of the cardigan, and I love the All American yarn – it has a great tweedy color and a very soft (yet substantial) texture. A definite winner! Now it just needs to be cold enough during our mild Oregon winters to wear this thing . . .
I’m so glad I can finally share this one! Because it was a test knit for Thea Coleman of Baby Cocktails, it’s been kept under tight wrap until now. This is one of my favorite sweater knits of all time – I think because of the perfect marriage of an amazing pattern and the perfect yarn. I can’t say enough about Chartreuse – the pattern is easy to read and follow, with lots of clear explanations and helpful hints. The cabling work is absolutely gorgeous, but the pattern isn’t so complicated that you can’t keep up. The yarn – Plucky Scholar (75% merino / 25% cashmere) in color What’s Up Doc – is tweedy and has good structure, which makes it ideal for cables, but at the same time, it’s so soft that it’s a pleasure to have in your hands and next to your skin. I knit on US 6s and used up almost every bit of 7 skeins (255 yds/ea). I debated about which size to knit, and finally landed on 41.25″ – which equates to a size large, and is one size bigger than I usually go with on sweater patterns, but I wanted a bit of an oversized look. I’m glad I chose this size, as it fits exactly as I had envisioned, but I think it would look really great one size down, too – just a little more fitted. I made no modifications except to make the pockets 2″ deeper, as suggested by the pattern. At first I thought that the pockets still wouldn’t be deep or wide enough to accommodate my hands, but because they stretch (like everything else knitted!) I’ve found that I actually like them to be a little tighter, so my hands don’t swim around in them and stay warm tucked inside. The combination of yarn and pattern is so amazing that I have to admit I didn’t even block the sweater, except a little bit on the back of the neck, to really accentuate the wide cabled collar. I know, that’s crazy – it’s a cardinal rule to always block sweaters, and I pretty much always do – but this one fit so perfect and lay so nicely when I pulled it on, that I didn’t want to change a single thing about it and I was afraid blocking might alter the fit or sizing, even a little bit. So, I just tossed it on and wore it! I love how this sweater came out, which is amazing, because I had a lot of problems and issues with it the entire way through. The pattern is Cabeladabra, and I bought it as a kit with Plucky Scholar yarn (75% merino / 25% cashmere, color Powder Puff). My first problem was that I could not for the life of me get gauge – the closest I could come was on US 6s (the pattern-recommended needle size is US 8s), and at that point, the fabric was so dense that I didn’t like it. I settled for US 7s – one size down – and correspondingly sized down the other needles, as well (i.e., I used US 6s when the pattern called for US 7s, and US 5s instead of US 6s). At first I wasn’t sure that I liked the fabric that I was getting once I started the body of the sweater – it still seemed really dense, and the yarn is kind of tweedy, which led to the impression of heaviness or denseness. However, I really like it once I got it completely finished, and I think the fabric works well for the shaping and the cabling – both of which need a fair amount of structure (you wouldn’t want something with a lot of drape and not a lot of body). I was also at a total loss as to what size to knit – the pattern called for 2-3″ of negative ease, but I’ve never really knit a sweater with negative ease before and was cautious about it fitting too tightly (not an attractive look for me). But, I knew that the style wouldn’t look good if it was too oversized . . . add to that, I wasn’t sure how being off-gauge was going to affect the ultimate size of the sweater – I figured that since my gauge was a little large on US 7s, the sweater would come out slightly larger than the pattern schematics. I finally settled on size 38, which would be about 0″ ease for my actual measurements – so lucky, it turned out to fit perfectly! Not too clingy, not too bulky. I’m amazed, given my sizing and gauge problems, that I got such a good fit – must be due to the design features of the pattern. I ran into my first gauge-related problem when I was ready to separate the body from the sleeves (the sweater is knit from the bottom up) – I was supposed to be at round 15 of the cabling pattern when I got to 15″, but instead, I was only at about round 4. I didn’t want to knit another 10 rounds because it would make the sweater way too long for me, so instead, I compared the cabling chart for the body and the cabling chart for splitting the neck, and decided that it would transition okay from round 4 to the first round of the neck chart. When I look at the FO, I don’t notice anything that looks like a break or an error in the cabling pattern, so I think my modification worked well. I knit the full-sleeve version – although I think it would have looked cute as a 3/4 sleeve, too. I felt like the sleeve holes were going to be a little too tight for me (this is often the case, I find) so I added 6 sts when I picked up the stitches around the armhole, and then I reduced three more times (every 6 rows instead of every 12 rows) so that I was down to the number of stitches called for by the pattern by the time I got to the cuff. My only other modification was that, when knitting the ribbing around the neckline, I picked up only 44 sts instead of the 57 sts that the pattern called for – I was afraid that 57 sts would be so many that the ribbing would gap or roll. I followed the pattern’s directions to knit 12 rows of ribbing along the neckline, which seemed to close up the neck quite a lot – I like how it looks, but I could have stopped at 8 or 9 rows of ribbing and gotten a deeper V to the neckline, which is how the pattern’s photos look. I think I ended up using 4 skeins (225 yds/ea) and about 1/4 of a 5th skein – I forgot to make note of how many skeins I started with, and kind of lost track, but I’m pretty sure that I ordered 8 to begin with, and ended up with 3 unwound skeins leftover, and the majority of a 4th skein. I finished knitting my Valentine’s gift from my thoughtful husband – the Inglenook cabled house socks pattern, complete with three skeins of Brooklyn Tweed Shelter (color Postcard). He even added to the package a small box of European drinking chocolate and a sampler bottle of Soak! These socks are supposed to be loose-fitting, to lounge around the house in, so after measuring and agonizing a little, I knit size medium – however, they came out larger than I wanted, so after I soaked them, I put them in the dryer for 10-15 minutes, and they contracted to just about the perfect size. They’re knit from the toe up, using US 4s on the toes and then US 5s for the remainder. You’d think that socks knit in worsted weight yarn would go quickly, but these are really big socks – I guess that helps make them scrunchy and comfortable enough to wear around the house – and the cabling, while not difficult, adds a lot of time to the project. I sped up a little once I changed from dpns to 12″ circulars (and my hands hurt less, as well).